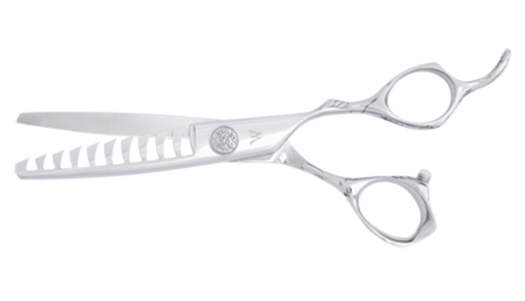 Scissors 10 teeth will eliminate bluntness and create a more natural looking texture. Washi's new texture shear will create a shattered look. The 10 teeth will eliminate bluntness and create a more natural looking texture.